Queen Sirikit visits with Colonel William McKean, Commander of the 27th, and U.S. 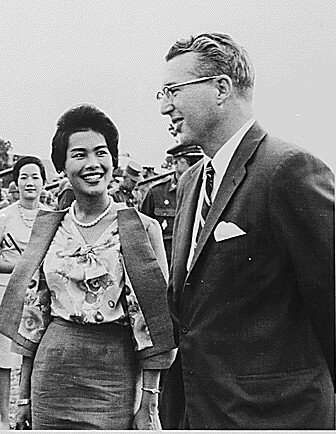 Ambassador to Thailand, Kenneth T. Young, Jr., June 1962. Public Domain, via Wikimedia Commons. The invitation came as a great surprise. 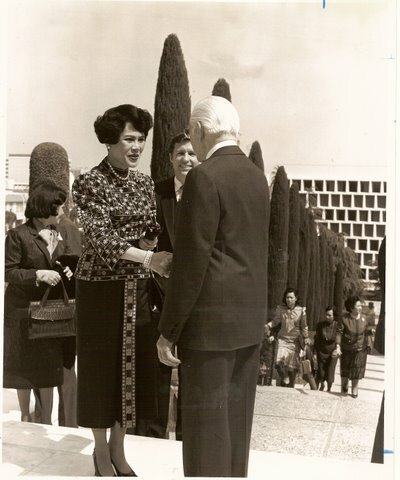 Mr. Herbert W. Armstrong was inviting the 50 most influential women in California to a luncheon in Pasadena to meet Her Majesty Queen Sirikit of Thailand in March 1985. I was most honored to say the least to be included in such an impressive group. Wasn’t sure how I rated but I accepted with pleasure. Herbert Armstrong, founder and chairman of the Ambassador Foundation in Pasadena, California was Her Majesty’s host in the United States for an unofficial visit. An expensive visit for him. She was traveling with an entourage of 45 and between them they had 400 pieces of luggage. Just do the math on all those tips for porters and bellmen!!! Her stay in the USA started in Palm Beach and included stops in New York and Washington DC where she was received unofficially by the Reagan’s then Pasadena, California. For the luncheon at the Ambassador Foundation the queen’s own security forces were augmented by United States Secret Service agents and Los Angeles and Pasadena police forces as well as the security forces of the Ambassador Foundation and Ambassador College. Queen Sirikit was here in connection with the SUPPORT Foundation she started in 1975 to promote the training of peasant farmers and the hill tribes in ways to earn income by producing traditional crafts and arts. I was met and taken through a side door upon arrival to avoid all the security by Ellis La Ravia, vice president of the Ambassador Foundation whom I knew through my volunteer work on Prince Charles’ project to build a small opera house in the Royal College of Music. And together we wandered privately through a magnificent exhibition “Treasures of the Kings of Siam” sponsored by the Ambassador Foundation. There were both examples of work being done through the queen’s project and examples of the royal family’s own collection of Thai antique treasures. Luncheon was served at five large round tables of eleven. Her Majesty sat with Herbert Armstrong, the only man dining, and her main lady-in-waiting at an elevated table surrounded by security. One of Her Majesty’s delightful ladies-in-waiting, all Thai princesses, was seated at each of the tables of ten California women. I was honored to be seated with Mrs. Tom Bradley, wife of the Mayor of Los Angeles wearing one of her fabulous custom made Bullock’s Wilshire hats and Secretary of State March Fong Eu among others. Back tracking I have to explain that upon receiving the coveted invitation my first big decision was of course what should I wear. It was known the queen had appointed Pierre Balmain in Paris as her exclusive couturier. I had a supply of outfits from trips to Bangkok made of Thai silk from the native weavers of Jim Thompson silks. 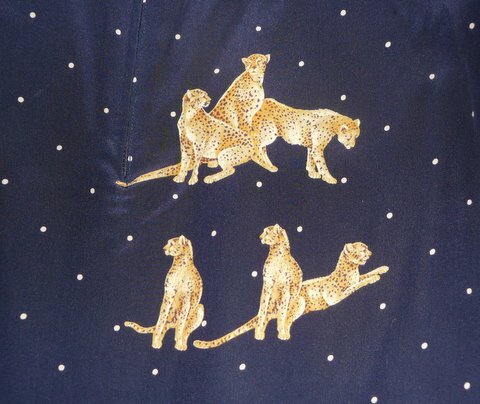 But that didn’t seem appropriate. 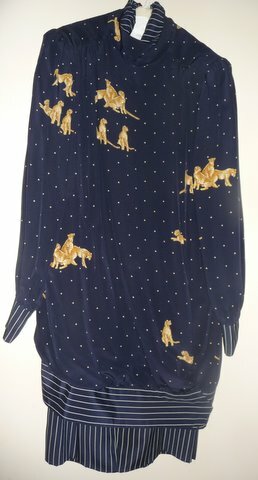 Then I thought of a wonderful Italian silk print with leopards I’d brought home from Lake Como that Parola had transformed into a daytime dress for me. That was it! This choice actually led to a memorable moment. Just before dessert was served the number one lady-in-waiting left the head table and approaching our table came to me. 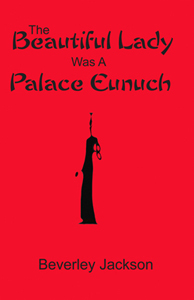 Making a slight bow, with her hands pressed together in a prayer-like position in the traditional wai greeting, the princess said in her musical voice straight out of The King and I, “Excuse me please. But Her Majesty has asked me to convey a message to you. She would like you to know she finds your dress most delightful.” I can still hear her saying it. An enchanting moment. I am a baptized member of the Worldwide Church of God under Mr. Herbert W. Armstrong and I want to thank you for your delightful story of your invitation from Mr. Armstrong to visit Queen Sirikit! “Thank you so much”! What an honor for you! And what an Honor to have you present as well as I know Mr. Armstrong only invited the Right people for the occasion. Did you have any other experiences with Mr. Armstrong? I would love to hear them as well! Thank you again for sharing that wonderful memory! P.S. I agree with the Queen, your dress was “Stunning”! « What Do You Give Your Ex-Husband For His Birthday?